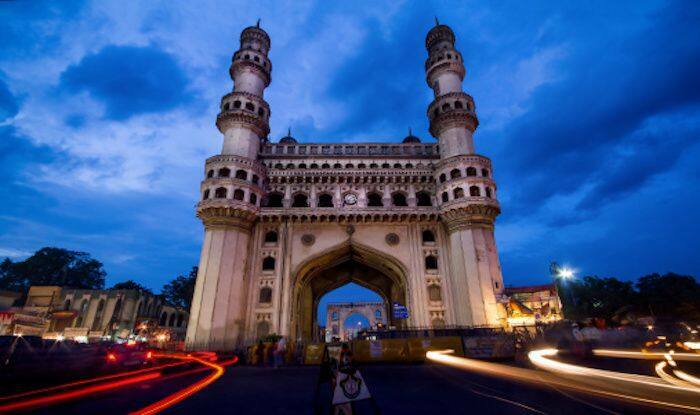 Hyderabad, the city of Nizams is one of the oldest cities in India today. It’s a city which is a blend of rich cultural and historical heritage, age old traditions and yet the best of modern facilities. However, all said and done, a trip to this city is not complete without having sampled its cuisine (read: biryani). The city has a lot to offer in terms of sightseeing. Most popular of the lot is the Charminar. A trip to Hyderabad, be it for business, adventure or leisure, is incomplete without a visit to Charminar which was built in the year of 1591 by Mohammed Quli Qutb Shah who is also known as the founder of Hyderabad. Ramoji Film City is another important destination to visit. Popular among the people from all over the country, the place is perfect for spending some fun time here. This is where a lot of Bollywood movies have been shot; the biggest Tollywood blockbuster Baahubali was also in fact shot here. Golconda fort, one of popular forts in the country, must be visited for its imposing figures and marvellous architecture. The tombs of the legendary Qutb Shahi kings, Chow Mohalla Palace, Taramati Baradari located at Ibrahimbagh, Birla Mandir, Salar Jung Museum, AP State Archaeological Museum are some more places that are worth visiting. The Taramati Baradari Culture Village, especially is a popular venue for music concerts, performing arts, and social events and if you have the time to catch a show, go in for the experience. It was during the time of Qutb Shahis that Golconda became a leading market for diamonds, pearls, arms and printed fabric. The city offers brilliant shopping opportunities to those forever bitten by the shopping bug. Check out the handicrafts from Hyderabad’s Handicraft Emporium; items with Bidri work such as plates, bowls, vases, ashtrays, trinket boxes, huqqa bases, and jewellery make for an amazing buy. Laad Baazar, located in the Old City, is also great for shopping. Located close to Charminar, the place is perfect for shopping for bridal wear, pearls and the traditional Hyderabadi glass bangles.